My other hobbies are cycling and traveling around the world. Chipotle and Starbucks of course. I really like the Scandinavian area. The people are cool and the ladies look good. Electronic, dub-step, dance, house … basically anything that gets me goin’. I’ve been racing on and off for 20 years, but back racing for 9 years. I feel like it’s the best quality products is confidence inspiring. I don’t have to worry about my equipment. Joe’s support at the races is very helpful. It’s a toss up between winning 2wd nationals championship in 2011 and the Reedy Race that year as well. Don’t worry so much about sponsorship or who you’re running for. Make sure you’re having fun and everything will start to come with it. Thanks for your time and good luck Dustin!! 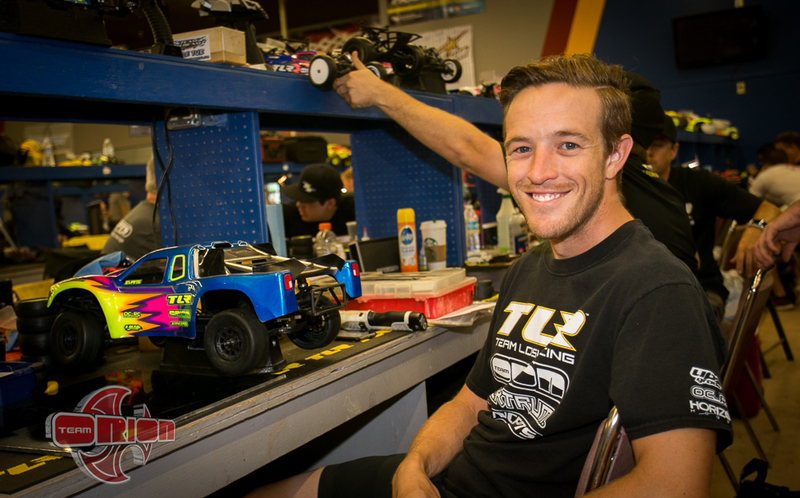 Tags: 1/10th, 2015, 2wdmod, dustin evans, national champion, nationals, offroad, roar, spektrum, team orion, tlr. Bookmark the permalink.